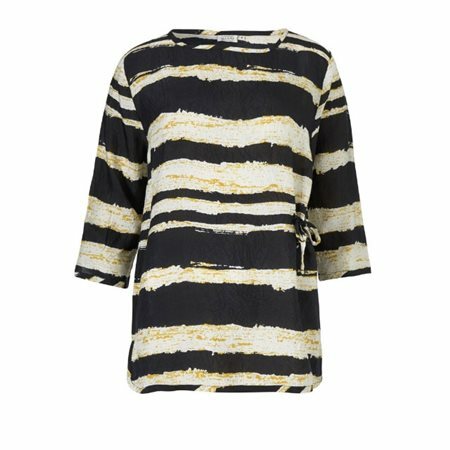 Striped top in slightly crinkled viscose. The top is slightly fitted, so it fits the body nicely without feeling tight. It also features a feminine tie fastening at the side so you can accentuate your waist even more. A stylish and casual top that you can wear for any occasion.